Changing anything in our lives requires changing our habits. For Pilates, this is true even more since the method revolves around changing your movement habits. How can we train our minds to think more positively so we will act more positively? It is not just about facing our fears, but also about coping with risk and uncertainty. We must stamp out all fears - set new goals and dream new dreams. I believe we can make ourselves more courageous with practice and effort! All of us here at Concord Pilates care immensely about our students. We won't judge you. You might be judging yourself more than anyone else. We don't want anyone to feel awkward or embarrassed. So many of you come here because you want to feel better physical, mentally or emotionally. Before you know it, you will have made huge strides towards a better body. The original reason for your visit has been resolved and replaced with the emotional and physical strength that you continue to strive for. "Did I make the right decision?" "How long is it going to take to feel better?" "Does everyone feel like this in the beginning?" Your list may be even longer than that. I want to share a not-so-secret recipe with you. If you follow it, you will be eager to continue making headway towards a happier and healthier YOU! Remember, this is no different than a great meal - follow the recipe and you will have people talking about your skills in no time! PRACTICE UNDER THE EYE OF A SKILLED INSTRUCTOR. Take classes with a teacher at least twice per week. Ideally, divide those up into one group class (fun and great for your body) and one private session (to continue making changes and progress). Home practice is a great way to speed up your progress, if you feel like doing an additional practice session. A teacher who can correct you and wake up those sleepy muscles you didn't know you had, is necessary for your success to change your body’s ingrained habits that are not serving you very well. FOCUS AND BE PRESENT. Leave all other thoughts outside the studio and become one with your body. Let the studio be your mental refuge, where you can clear your mind from clutter, fear, and anxiety. Go through each and every exercise carefully and thoroughly. Give it your full attention. The more you concentrate on each movement, the more you'll get out of it. Don't let yourself get distracted. "The only reason to repeat an exercise in Pilates is to do it better than the one before!" (Romana Kryzanowska) Perfect practice makes perfect. REASSESS REGULARLY. Notice your progress and set new challenges, at least every 8 weeks. 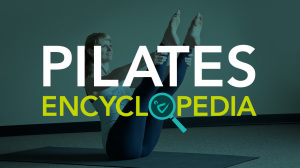 What has improved since you started with Pilates? Write it down so you can see it clearly. Maybe you don't have any more knee pain when hiking, climbing stairs or doing squats. Isn't it amazing? What are you still struggling with? Are your shoulders still creeping up to your ears all day long? Is your posture still bad when you don't pay attention to it? You can keep great alignment in class, but when you're not paying attention, then you go back to your old patterns. It might be time for a new strategy. Your body might have stopped adapting to the workout. We can help turn you in a new direction, by taking you through our (re-)assessment. One you might have completed when you started with us. If you never have, it's time! You'll learn so much about yourself. KEEP A POSITIVE ATTITUDE AND YOUR GOAL IN MIND. Maybe your thoughts are what's holding you back. There will be days on which you don’t “feel” like working out. There will be weeks where you have so much going on that you’ll be tempted to cancel or postpone your Pilates practice. Be aware and even expect any number of similar challenges. Danielle LaPorte writes in her amazing book "Fire Starter Sessions" that if you tell yourself, "I don't know what to do." then you stop looking for answers. Exchange this thought with "I will figure it out" and then let a trained professional advise you. Exchange the thought "I can't do that" with "I know I can make a tiny step in the right direction. Even the smallest progress IS progress, and it will get the ball rolling until it gains momentum." If you don't honor the small steps, you will lose faith and not continue climbing all the way to the top. Remember our minds are so trained to think "more is better" that it takes many reminders that "less is more." Exchange the thought "I can't do that" with "I know I can make a tiny step in the right direction. Even the smallest progress is progress, and it will get the ball rolling until it gains momentum." If you don't honor the small steps, you will lose faith and not continue climbing all the way to the top. Remember our minds are so trained to think "more is better" that it takes many reminders that "less is more." As you can see, the ingredient list is small - yet, when we put it all together, the results are tremendous! ARE YOU READY?